This is a story of two middle-ranking politicians of very different character. Iain Duncan Smith, also known as IDS, is the Secretary of State for Work and Pensions. He was leader of the Conservative Party from 2001-03 until his party overthrew him for manifest incompetence. The Conservatives were led into the 2005 election by Michael Howard, who once was memorably described as having "something of the night about him". Howard may be evil, but he was capable enough to lead them to a narrow defeat rather than a repeat of the Labour landslides in 1997 and 2001. IDS claims he was inspired to address the plight of the poor by visiting Glasgow housing estates; he may even be sincere. As Work and Pensions Secretary, he launched an ambitious attempt to overhaul the benefits system, which has degenerated into a very expensive catastrophe. It is unlikely this came as a surprise to his colleagues. It is alleged they think IDS is just not intelligent enough to manage a large and complex department of government. On behalf of Iains everywhere, I am most annoyed that IDS is bringing such disgrace to our name. 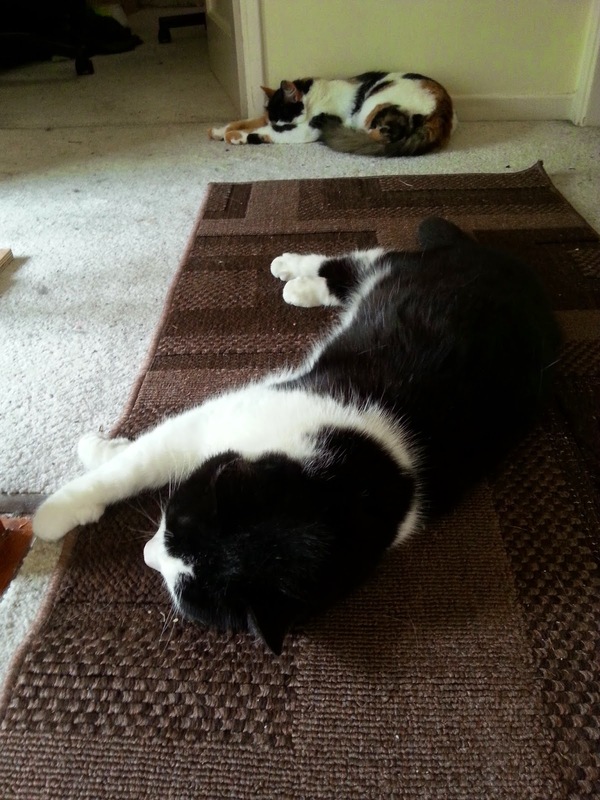 Hot summer days make the cats lazier than usual. Much of the referendum debate hinges on whether Scotland's economy will be better or worse off under independence. Here is a thought experiment which may put this discussion into perspective. 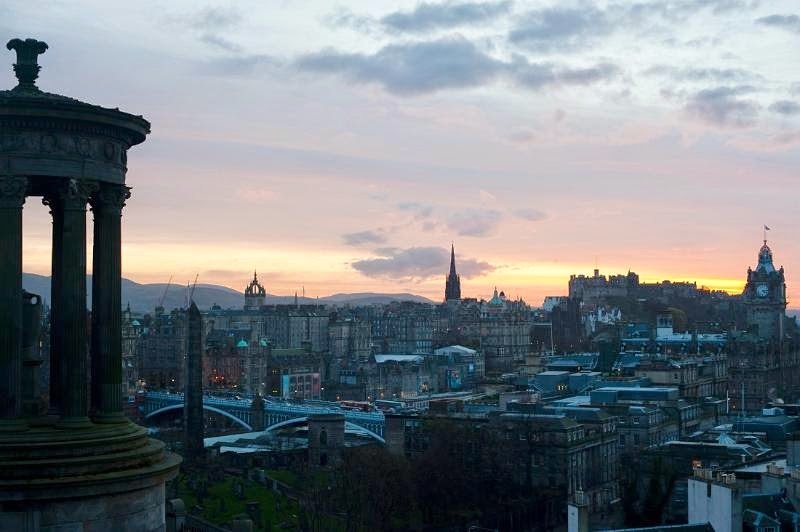 We believe Edinburgh should be a free city-state, a member of the UN and the European Union in its own right. We will no longer tolerate being ruled by Glasgow and other areas which do not have Edinburgh's interests at heart. Edinburgh: The next member of the UN? In recent times England has made a habit of humiliating Scotland at rugby; but when it comes to an official residence for the head of government, Scotland is clearly superior. The Yes campaign has failed to move many of its potential supporters. The latest Ipsos MORI Scottish Public Opinion Monitor, conducted last month, found that 57% of Scots are satisfied with the way the Scottish Government is running the country, while 34% were dissatisfied. This represents a net approval rating (the proportion who are satisfied minus the proportion who are dissatisfied) of +23, an increase of 10 points since our last poll in May. This is in contrast to the UK Government’s approval rating, which was -28 among British adults in September. On the other hand, the No campaign has consistently led in opinion polls, most recently with an 11-point lead in an ICM poll on 13 July 2014. Comparing the Scottish government's approval rating of +23 with the Yes campaign's position of -11, we have a difference of 34 points. Therefore, up to one third of Scotland's electorate are willing to express a positive view of the SNP, but still intend to vote No. 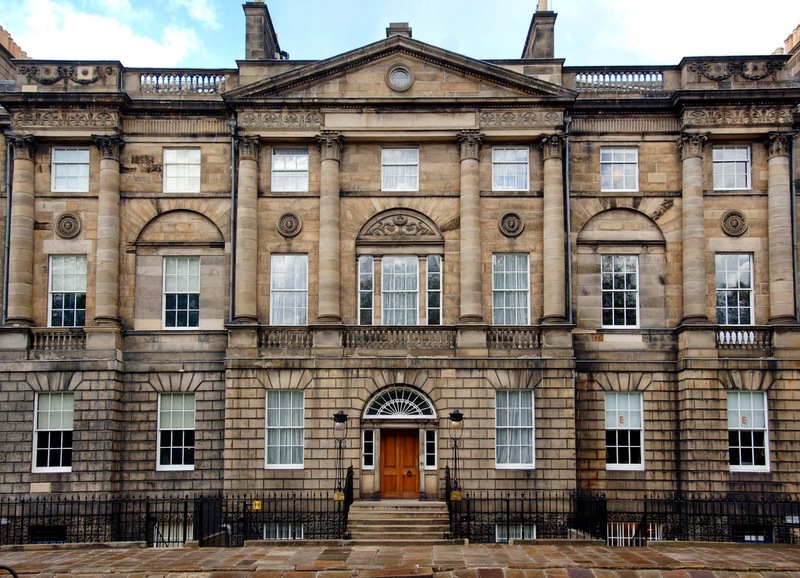 Bute House, Edinburgh; official residence of the Scottish First Minister. If I were the Yes campaign, I would be thinking very hard about how to reach these people. So far, they have been notably unsuccessful. If the Yes side had a consistent lead of +23 points, or even half of that, the political atmosphere would be very different; but it hasn't happened. 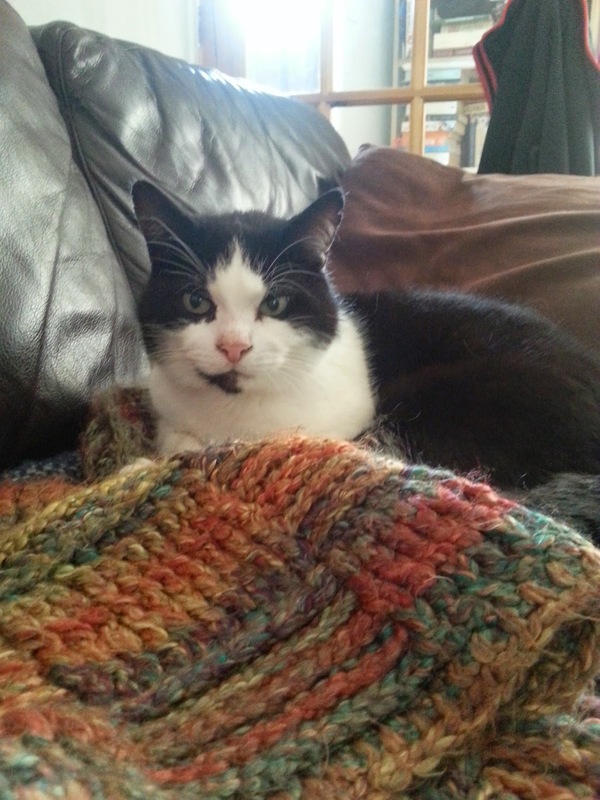 Dexter is asserting his rights to the comfy spot on the sofa. The UK does not have a written constitution. This is a weird and archaic way to run a democracy, but it has some interesting consequences. There are various Acts of Parliament for "constitutional" matters, such as the Parliament Acts and Human Rights Act, but in theory they can be amended or abolished at any time by a simple majority in Parliament. The underlying constitution is built on common law, unwritten custom and precedent. If an important precedent is laid down, later governments ignore it at their peril. One of the very few good aspects of the Iraq War was that before it started, Tony Blair held a vote in the House of Commons to authorise a declaration of war. In the past, Prime Ministers had declared war under royal prerogative without consulting Parliament; for example, this was done by Margaret Thatcher at the start of the the Falklands War. In theory, Blair could have done the same thing, but the Iraq War was so controversial that he wanted the political cover of endorsement by MPs. The Commons vote on military action in Syria in 2013 reinforced this precedent. David Cameron was a supporter of airstrikes in Syria, but his government lost the vote, so plans for military action were shelved. A good discussion of the wider legal issues is here. The Palace of Westminster, home of the UK Parliament. The Scottish referendum has established another important precedent: If a majority of the Scottish Parliament in Holyrood votes to hold a referendum on independence, the Westminster government will cooperate and abide by the result. If there is a Yes vote on 18 September, Scotland will declare independence and this becomes a moot point. But if there is a No vote and Scotland remains within the UK, Holyrood will retain the option of holding another independence referendum. Social media has unexpected consequences. Today I saw a post on Facebook by a woman whose baby had just died. I don't know this woman, or her husband. To the best of my knowledge, I have never met either of them. They are not on my Facebook "friends" list. All I have to say to them is that this is a terribly sad loss. I cannot imagine what it feels like, but even though they are total strangers my heart goes out to them. I am sure Facebook's privacy settings were the last thing on their minds; so it would seem the post is "public". Of course the post attracted many comments, including at least one from a friend of mine (in both the real and Facebook senses of the word). The post is promoted to friends of the mother's friends, and so it shows up in my newsfeed, with the ultimate aim of generating more pageviews and more revenue for Facebook. Happy Independence Day to the Americans! 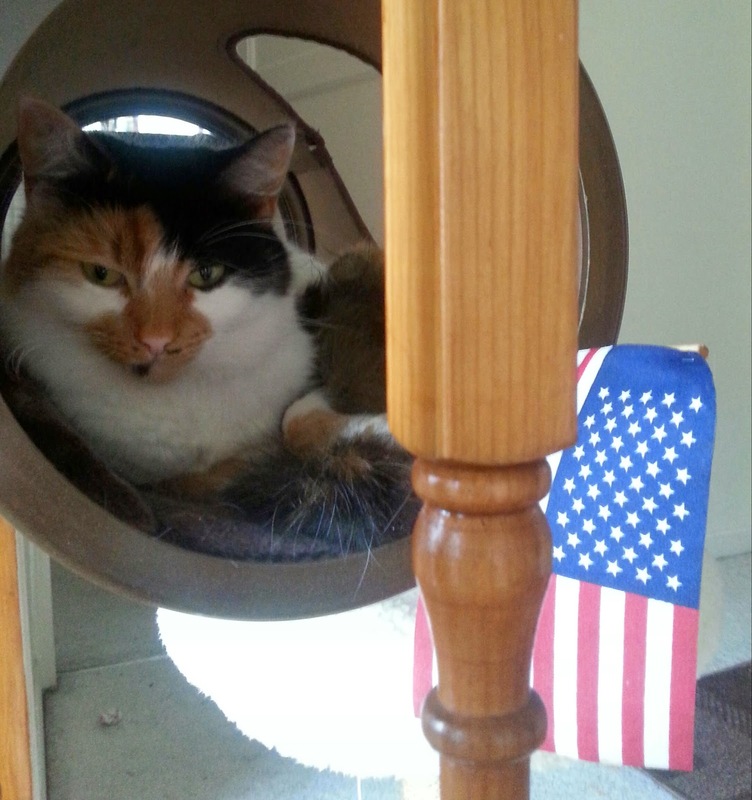 Belle is flying the flag for the occasion. 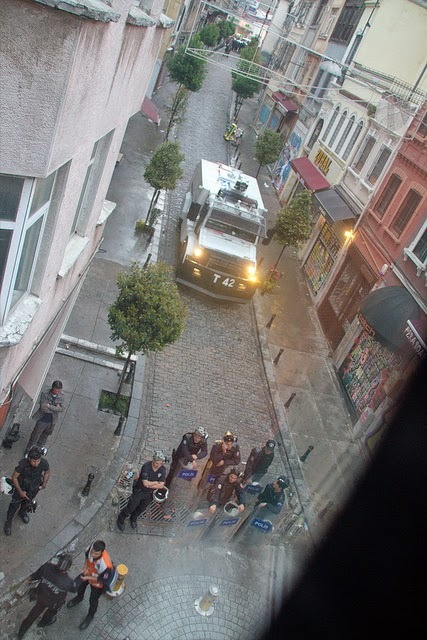 I did not intend for my holiday in Istanbul to involve close observation of a battle between protesters and riot police. It just worked out that way. Riot police assembling in the street below our apartment. Some friends and I happened to visit Istanbul on the first anniversary of the 2013 Taksim Square protests. I only realised this when the manager of my holiday apartment mentioned that we should be careful on Saturday 31 May. By then it was much too late to change our plans, and there weren't any official warnings, so we didn't give it much more thought. Our apartment was located on the second floor of a nineteenth-century building in the district of Beyoğlu, formerly known as Galata. It is a fashionable neighbourhood of Istanbul, popular with tourists and the more bohemian locals; it's notable for a large number of musical instrument shops. We were about a mile from Taksim Square, and 500 meters from the British Consulate. Saturday began calmly enough. The streets were full of people as usual, including plenty of locals. Some sort of street repairs were going on, but nothing substantial. We went out for a day of sightseeing and had an enjoyable time visiting the Sulemaniye Mosque and Grand Bazaar. On the way back, we saw some riot police in side streets, but they were relaxed, standing around with their helmets off, talking and smoking. So we continued up to our apartment to relax before going out for dinner. About fifteen minutes later, we noticed crowds marching in the street below us and shouting slogans. To start with, it looked like the kind of boisterous but peaceful protest familiar from Britain. Before long, most of the crowds cleared the street; probably the police had ordered them to disperse. A few of them remained behind, and were confronted by a line of riot cops.